Buying a new home – particularly one crafted by Paran Homes – can be an incredibly exciting adventure. One that nearly counters the daunting task of packing up an existing home in time for the movers to arrive. Whether moving from an apartment or a house, we’ve compiled a list of 10 tips designed to make the task of moving more bearable. Just remember, “a journey of a thousand miles must begin with a single step.” (Lao Tzu) In the end… HOME SWEET HOME! Set a Budget: If you have the money in your budget to pay a moving company to pack up and haul your belongings to your new home, by all means do that! Of course, that money might be better spent on a new sectional for the family room or dining room table or master suite or… If you can find the time AND ENERGY to pack up the house yourself, it will definitely save you on the budget side. Set a Date: This is typically a tight window if you’re moving from an existing house into a new home. You have not just one but TWO closing dates to work around. Hopefully, you’ll have a little wiggle room between the two so you don’t feel pressed for time. In the event that there is TOO much wiggle room between your closing dates and you find the need for temporary housing, you may want to research storage units or portable moving containers to store the bulk of your possessions. Find a Reputable and Licensed/Insured Moving Company: Even in this digital day and age, word of mouth continues to reign supreme. If you know anyone whose made a move in the last couple of years, ask them who they used and what they recommend. In the event that you’re not getting the results you hoped for, start scanning online reviews and Better Business Bureau ratings. Once you’ve narrowed your list down to a few, ask for proposals to see who falls best within your timeframe and budget. Give the 4-1-1 to Family and Friends: Moving is a very special occasion! One that is worthy of having “We’re Moving” announcements printed and mailed – featuring your move-in date and new address. You may want to do this a month to a couple of weeks before you move. Host a Fond Farewell Fiesta: Like we’ve said, moving is a very special occasion. Goodbyes can be bittersweet. Make a concerted effort to say farewell to your neighbors by hosting a party – this is particularly important if you’re moving across state lines. Take Small Bites When Eating an Elephant: Okay so we’ve covered the fact that moving can be a daunting task. In an effort to avoid becoming overwhelmed, formulate a plan and attack the art of packing one room at a time. As you do, check these rooms off your list to give yourself a constant sense of accomplishment. Decide What You Want to Follow You Into this Next Chapter: As you formulate your plan and move room-to-room, decide what will be following you to your new home – and get rid of the rest. That’s less space taken up on your moving truck! Extra furniture, appliances, etc. can be donated to your local Salvation Army, Habitat for Humanity or Goodwill – many of which will pick-up, free of charge. The Kitchen Should be the Last Thing to Go: Unless you want to spend a small fortune on takeout and dining out, you should leave the basic essentials of your kitchen intact until the last possible moment. 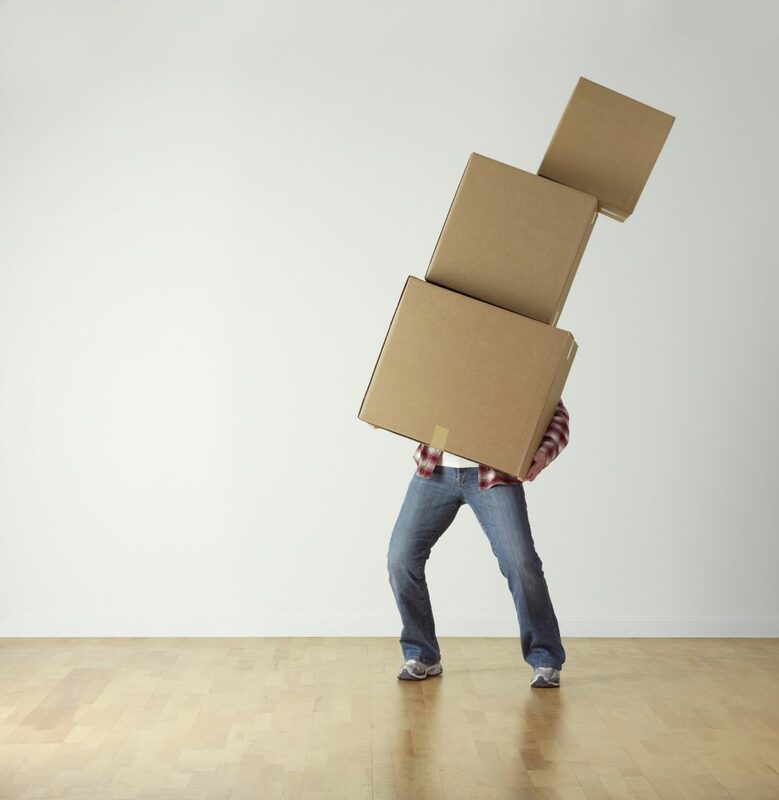 Mark All of Your Boxes as Clearly As Possible: As challenging as packing can be, unpacking is equally intimidating. By having your boxes clearly marked at the get go, it’s easier to prioritize which boxes you’d like to unpack first. Instead of simply marking a box “Kitchen” – take a few seconds more to add WHAT is inside, such as utensils, plates and bowls. Capture the Moment: It’s all to easy to get swept up in the act of moving that we often forget what a special occasion this is! Be sure to take a moment here and there to snap a photo of your kids playing around the moving boxes, your former home empty of your family’s possessions, one last front stoop photo, the family gathered around the SOLD sign in front of your new Paran Home, before-and-after images of your new home without and with furniture, etc… You’re making history and Paran Homes is proud to be a part of it! Need a Recommendation for a Great Moving Company? Take-Away Movers in Norcross is Paran Homes’ Preferred Moving Company! We regularly use them to move into – and out of – our model homes and sales centers throughout Metro Atlanta. Take-Away is currently offering an exclusive 10% discount on their moving services for new Paran homeowners (Discount Code: Paran10). Need new furniture? When you schedule a move with Take-Away Movers, they’ll send you a coupon for 20% off Ashley Home Store! and also can offer a discount at Ashley Home Store. To schedule YOUR move into a new Paran Home, contact Take-Away Office Manager, Latoya Wilson at 678.606.9050. Want to learn more about Take-Away Movers and the services they offer? Visit their website at www.takeawaymovers.net. Best wishes to you and yours as you “make your move”!